How Do You Start Up and Manage YOUR Business Continuity Project? This FREE chapter shows how to prepare and manage YOUR business continuity project. Excerpted from the industry-defining book, Business Continuity Management: Global Best Practices, by Andrew Hiles. You will learn all of the steps necessary in launching the project, as well as why each of these steps is important – which is very helpful in gaining buy-in from organization management. 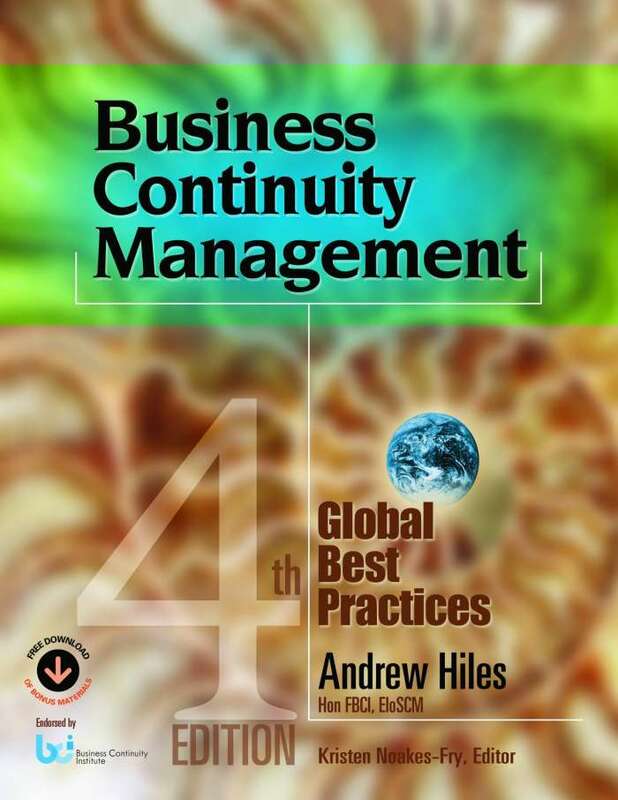 Click HERE to learn more about the complete, industry-defining book, Business Continuity Management: Global Best Practices, by Andrew Hiles.